Ok guys…Just saw this posting over at bt_obsessed and told her/him I would post here. Hey Everyone! 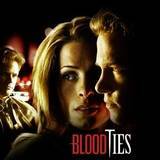 I am a HUGE fan of Blood Ties and I need everyone’s help! I am working on a project for Christina and Kyle. I want to make each of them a “birthday book”. This is just a scrapbook that I will fill with notes from the actor’s fans (birthday notes, praise, etc), decorate, and send to them for their birthday. I would like for fans to send/email me notes for each or both actors. I know that both Christina and Kyle would appreciate the messages from fans. I am spreading the news everywhere about this project everywhere and I wanted to see if you guys could help by sending me a letter or two. I know this has the potential of being a great, unique gift for both Christina and Kyle. I would really appreciate anything that you could do. Thank you SO much. I really want to send each of them a memorable gift that shows how much the fans love them, and that they have fans all over the world. Thanks for your participation!! I look forward to your email or letter. Thanks again!